For trusted and reputable residential glass door replacement, All Service Glass is here to offer you the highest quality workmanship in the Portland OR and Gresham OR area. Specializing in residential glass door replacement and installation services. All Service Glass will get the job done correctly the first time. The seasoned glaziers with All Service Glass are quick, courteous, and motivated to provide you the best customer service in town. 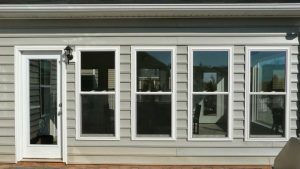 All Service Glass offers an assortment of patio door, slider door, and front door options to suit your specific needs and the unique style of your home. Whether your need to replace residential front door glass, or simply want to upgrade to a more efficient and modern patio door, you can be sure there is the perfect door option for you. An expert glazier would be happy to provide you with a no obligation consultation to determine the best fit glass door replacement or new installation for you. All Service Glass is a full service glass company serving the greater Portland OR area. Committed to providing superior service and competitive prices, the top priority is always customer satisfaction. The experts on staff are well versed in new installation, remodel, and repair of residential glass doors. For more information or to schedule a consultation, call us today!